If you’ve followed along here for awhile then you probably already know that several of my mom’s recipes have made appearances on this blog, like her green chili turkey, red chile enchilada sauce, or her famous blender salsa to name a few. One of the very first times I ever featured one of her recipes was just after I started this blog (which was forever ago…. literally, just look at the pictures! It’s a bit embarrassing, but it does demonstrate me how far we’ve come in the bazillion years since we began). That post actually highlighted a few of her favorite signature salsas. One such salsa has inherited the name “Revenge Salsa,” and if you look at the ingredients it’s not hard to understand why. There’s a full bulb of garlic mixed with a full can of chipotle peppers in adobo sauce. Super garlicky. Super spicy. Super intense. And super irresistible! 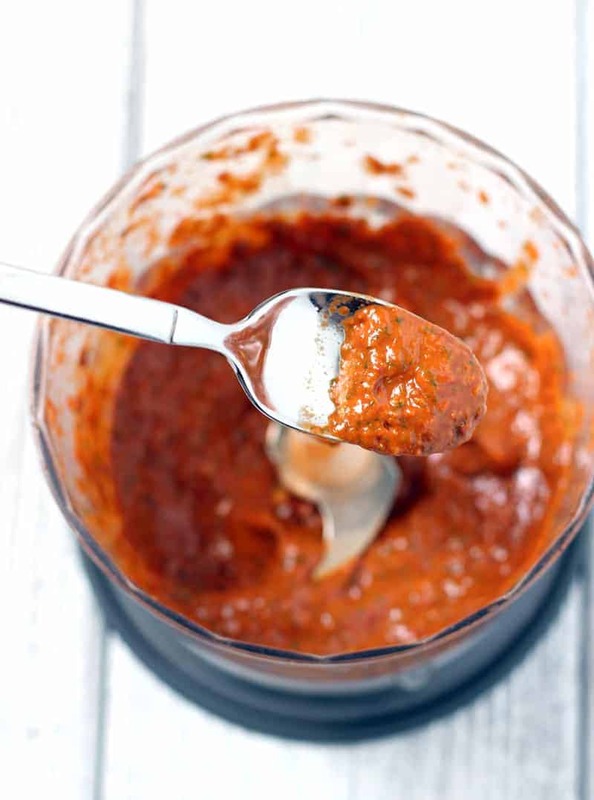 But outside of eating it as a salsa, it actually makes for an incredible marinade for chicken. I’ve adjusted the actual salsa ingredients to make it more marinade-friendly and lowered the amount of garlic significantly (your friends will thank you). When used as a marinade the chicken takes on some of those rich smoky flavors from the chipotle, but it is not very spicy once grilled or smoked. Even these boys, who have a fairly low threshold for anything spicy, love this chicken marinade. Chipotle Peppers in Adobo Sauce is one of those ingredients you see from time to time used in very small quantities, yet it usually comes in a 7oz can leaving you with a bunch left over. What’s a gal to do with all that chipotle? Case in point, those Smoked Burgers with Mexican Chorizo and Chipotle Aioli we made last week (remember those out-of-this-world-amazing smoky burgers?!). While trying to figure out what to do with the leftover chipotle we used for the aioli, I decided it was finally time to share this tasty recipe here. It’s quite simple. Just throw the chipotle peppers and some of the sauce into the food processor, then add some garlic, cilantro, tomato sauce, olive oil, agave (or honey), some salt and pepper, and some fresh lime juice to brighten things up, and then pulse away. Marinate your chicken in the sauce for a few hours, or as long as overnight. Smoke the meat on the smoker for added smoky love (but of course you can easily grill your chicken too if you don’t have a smoker). Regardless of whether you smoke or grill your chicken, just make sure you cook the chicken to an internal temperature of 165 degrees to get that perfect balance of moisture and flavor, without overcooking it. 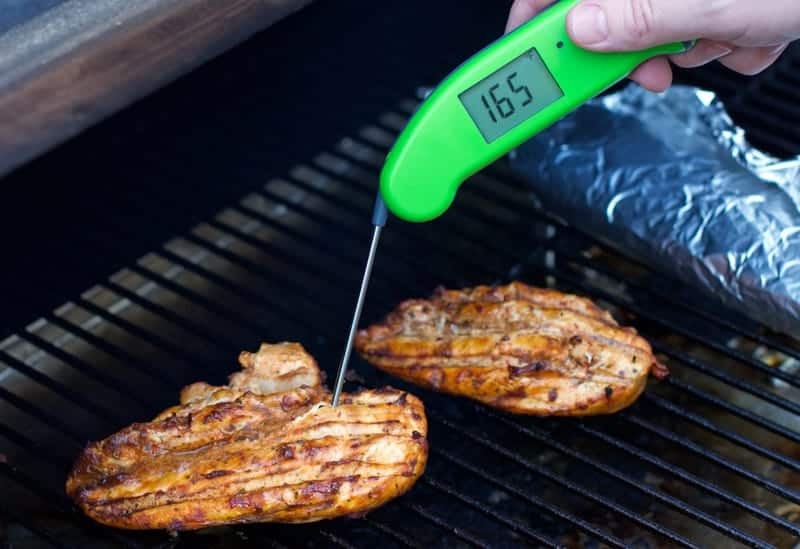 We’ve said it before, and we’ll say it over and over, a good thermometer (like this one) is essential to creating amazing smoked and grilled meats! Never undercook or overcook your meat again, my friends! Boom. 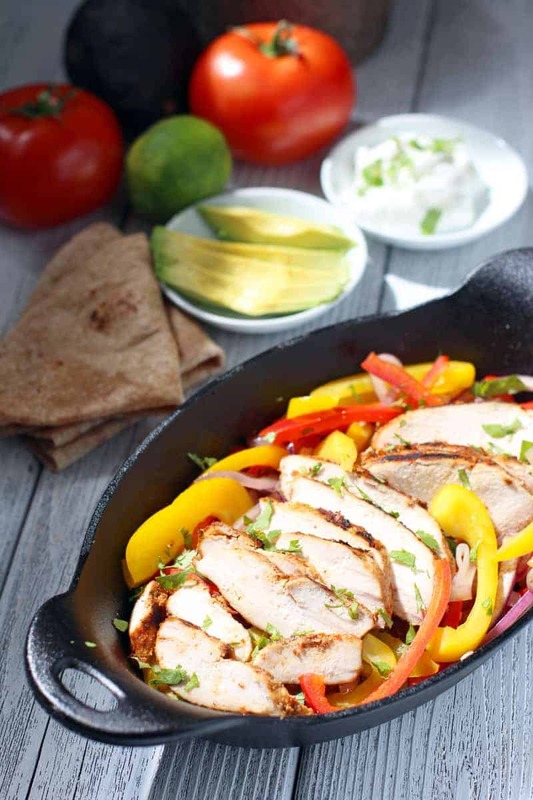 Once the chicken is cooked, feel free to use it for tacos, salads (if you’re feeling all healthy), or (our favorite) — fajitas! 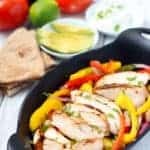 A tasty and slightly spicy garlic chipotle marinade for chicken, and how to use it for smoked chipotle chicken fajitas. Place all marinade ingredients into the food processor and pulse until everything has broken up and there are no more chunks. Place in a large plastic baggie add the chicken and let marinate from 5 hours, up to overnight. 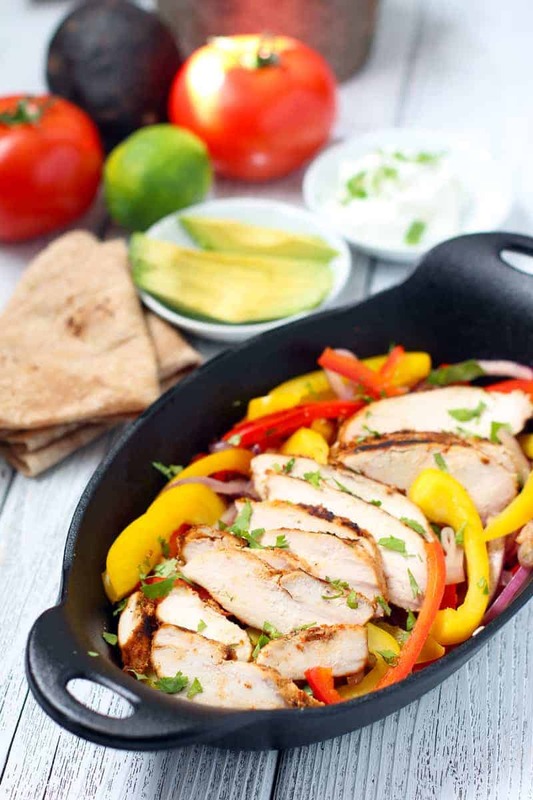 *Reserve 1/4 cup for fajitas as a topping or as a final brush on the grill. Remove chicken from the marinade and let start coming up to room temperature while the smoker is preheating. Place chicken breasts on smoker and cook for roughly 90 minutes, or until internal temperature of the meat is at 165 degrees Fahrenheit. Remove from smoker and let rest 10 minutes. Slice the chicken and use for fajitas, tacos, or in a salad with your favorite filling. We love sautéed peppers and onions. Warm up a large skillet over medium heat. Coat it with oil, then sauté your peppers and onions for 5-10 minutes, until softened. Warm up your tortillas, and serve them with the pepper and onion mixture, sliced smoked chipotle chicken, and your favorite toppings. All you need now is an ice-cold Mexican beer (Dos Equis anyone?) and you’re all ready for Cinco de Mayo. Orrrrrr you can serve it up with some wine! Cha-ching. If you’re serving these fajita-style I’m a fan of a crisp fruity rosé for this. I know I know I sound like a broken record with my undying love of rosé, but it really is a great option for the combination of the mild spicy chipotle flavors, and grilled veggies. Alternatively, these particular fajitas also go quite well with Malbec, a fruity Grenache, fruity Beaujolais (or Beaujolais-style), or even Zinfandel. What about you? What do you like to drink with Fajitas? And what are your favorite uses for leftover Chipotle in Adobo?? Disclosure: This post contains affiliate links for the Thermapen digital thermometer. That means if you purchase one of these awesome thermometers because of this post we receive a small commission. I should also mention that this is a great time to invest in one of the more affordable ThermoPops. They are still having great sale on them right now (30-40% off)! For more delicious recipes check out the Recipe Index. this batch of one of my favorite dinners makes my recipe for fajitas look AWFUL! what amazing flavors you’ve created and combined! bravo! Haha 😉 Thanks! I’m sure yours looks absolutely gorgeous! Fajitas are simply one of the most perfect dinners. How can they ever look bad? Ooo, how smart, I never thought of using salsa as a meat marinade! And I love chipotle flavors! Thanks! Using the salsa as a marinade works like a charm!! 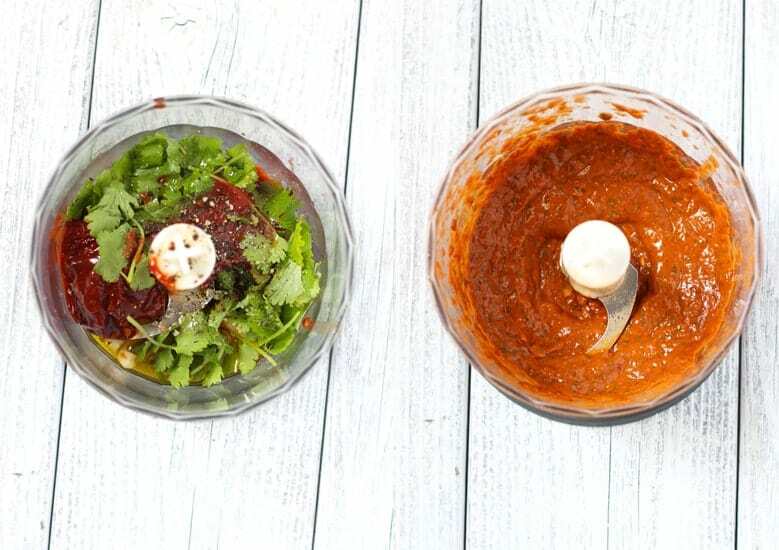 This looks so great as a marinade! I like to enjoy fajitas with beer 🙂 but your wine pairings sound delicious. Beer is definitely most peoples go-to choice (myself included many days! ), but a nice crisp rosé and some fajitas… Yum!! That looks amazing and pretty easy to make too. Super easy! And quick (well, besides the time marinating of course!). Chipotle marinade? This recipe rocks! 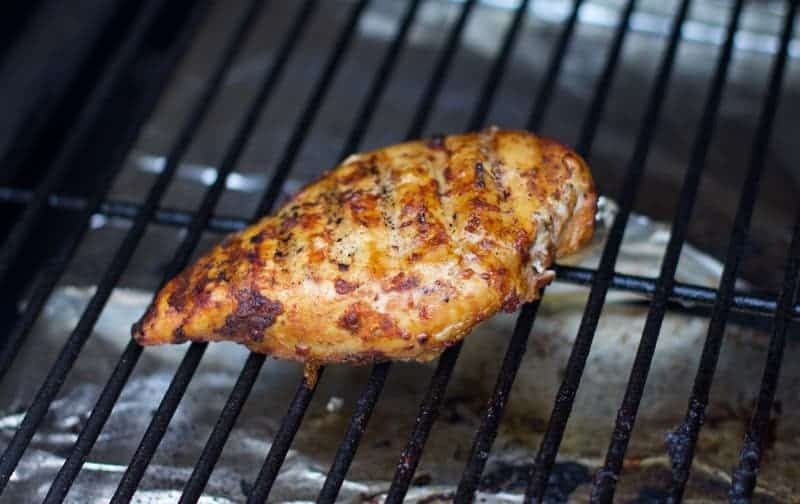 =) I am always looking for ways to grill and/or cook chicken, and this recipe of yours is filled with incredible flavor. I can’t wait to try this chicken over the weekend. Yum! Rose would be the perfect pairing for this! The chicken looks delish- I have got to get a new grill and stat. Great job on the marinade. Thanks! Then nice things is that you don’t need to spend a fortune on a good grill. Our trusty Weber goes for less than $100 (brand new!). I love chicken and this dinner looks quite delicious, as well as it seems easy to make. I may need to make this soon. We’ll have a lot of these ingredients fresh from the farm this season… Looking forward to trying this one! Oh how I wish I had some of this right now! !